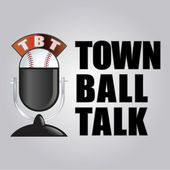 Town Ball Talk is a podcast featuring candid conversations with players, coaches, fans and experts about Minnesota amateur baseball, affectionately known as "town ball." Minnesota has been baseball-crazy since before it was a state—since August 3, 1857, when "the citizens of Nininger decided to organize a baseball club," according to the Minnesota State Historical Society. Though Nininger didn't last—it was a ghost town not 30 years later—baseball did: at its peak in 1950, Minnesota boasted as many as 799 teams across the state. Today, there remain more than 300 town ball teams in Minnesota, more than any other state. Town Ball Talk aims to tell the stories of those who have played the game, taught the game, watched the game and, above all, who love the game.